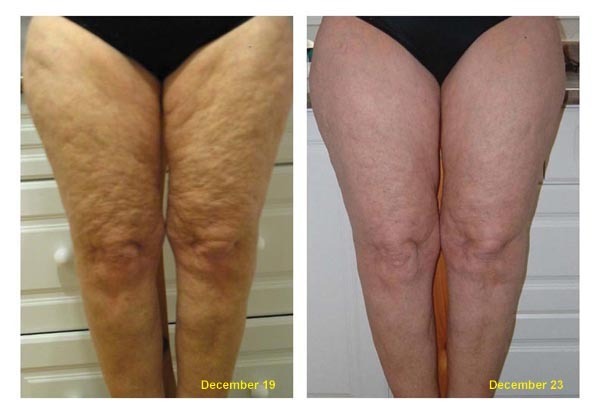 Minimize and smooth the appearance of cellulite with Galvanic technology!! Treatments available in packages of 3, 6 and 12. Book in for a free consultation today. If you prefer a home treatment to help target cellulite and firm the skin speak to us today about your options. You can have your own hand held Galvanic device to use in the comfort of your own home, or one of our favourite is the Dermatic Effects lotion. It contains ingredients that help inhibit fat production and stimulate fat breakdown. • Helps smooth the appearance of fat and cellulite for a slimmer looking body. • Improves appearance of skin’s firmness for a more youthful look. • Helps increase cellular turnover, which is necessary for renewing the skin and returning it to its natural radiant texture. • Leading edge optical technology diffuses light instantly to help skin look smoother and improve the appearance of the skin’s surface. • Hydrates and helps smooth the skin. The celebritys are using it so can you!! !